Hanoi (VNA) – The Central Institute for Economic Management (CIEM) organised a seminar in Hanoi on August 10 to discuss the world’s automobile industrial complexes and lessons for Vietnam, part of activities to realise the government’s plan to turn the automobile industry into a key economic sector. Speaking at the event, CIEM Deputy Director Nguyen Thi Tue Anh said the domestic automobile industry remains underdeveloped due to small market, weak purchasing power and the lack of appropriate incentives. Experience from developed countries showed that Vietnam needs to rally resources, especially brainpower, capital and technology, to open concentrated automobile industrial complexes, with the supporting industry sector playing a crucial role in creating a value chain. Nguyen Thi Xuan Thuy from the Ministry of Industry and Trade’s Institute for Industrial Policy and Strategy expressed her concern that the domestic automobile industry would face fierce competition from early 2018 when automobiles imported from the ASEAN member states are subject to zero percent tariff. Meanwhile, domestically-made cars still have their imported components subject to import taxes, resulting in their higher prices than those bought from Thailand or Indonesia. 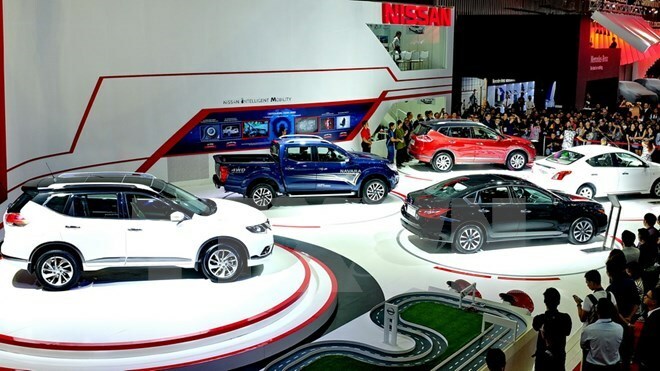 Economists said increasing the rate of locally-made spare parts in automobile manufacturing is an important, long-term goal of the Vietnamese automobile industry.